Upholstered & Leather Sofa Dry, Steam Cleaning Brent NW | Quality Property Care Ltd.
Our expert team works efficient and fast, to book our services contact 020 3746 4287, combine book one or more of our treatments and get a lower price on your purchase today. All of our detergents are bio-degradable and leave no trace after the cleaning is done, making it pet and family safe. 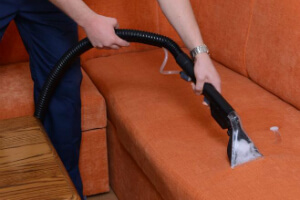 Unlike most professional sofa cleaning companies, Quality Property Care Ltd. has developed only two special treatments. They are upholstery cleaning services inBrent NW that are devoted to the luxurious leather sofas and the delicate suede sofa cleaning. For leather cleaning we offer crack filler with different colours, mat leather, leather rejuvenator and foam leather cleaner. As to the suede upholstery, we can sanitize suede, velvet and other delicate materials. Here dry cleaning is used to protect the fibers from damaging and tearing. You can book deep mattress cleaning as well as the highly effective bed bug mattress treatment offered by Quality Property Care Ltd.. This type of deep cleaning is absolutely mandatory if you have dust allergies, or suffer from asthma, a eczema, runny nose, unexplained headaches or have itchy red eyes. There is not 100% scientific evidence, but the germs, dust and dust mites can also cause depression as well. Even if you don’t suffer from any of these unpleasant health problems, it is recommended to periodically deep clean your mattresses, in order to kill the germs and dust mites which love to reside in mattresses. The cleaner uses a modern intensity ultra-violet light which effectively removes and destroys dust mites, fungal spores, bacteria and other harmful debris. No moisture is used, so the cleaning process is safe for pillows and mattresses, and is suitable for hospitals, hostels and everything that has beds. Get rid of the dust and debris from your draperies, furniture upholstery, curtains, blinds and mattresses by booking your professional upholstery cleaning service now! Our range of stain elimination capability matches our extensive experience in the filed, with available solutions for grease, blood and oily stains, paint, animal fats, food colouring, asphalt, nail polish, chewing gum, blood, tea, coffee, vomit and wine. Make sure you do everything possible to keep your classy upholstery in a top condition! Rely on our trustworthy upholstery cleaning company in Brent NW! Make an order right away! Call us on 020 3746 4287 and get a free quote today!